Best Khaki Pants for Petites: There are lots of irritating things about being petite and buying khaki pants has to be one of the worst. It is common for a simple shopping trip to become a harrowing experience. Fortunately, more and more brands are now offering a better selection of khaki pants, especially for petites. You can now stop buying the cropped versions of khaki pants in hopes they will qualify as full-length. When shopping for the best khaki pants for petites, keep in mind your overall proportion and inseam. Here are our top picks for the best khaki pants for petites. The Rekucci Women’s Ease ‘In To’ Comfort Stretch Pants feature a pull-on styling with a wide contour waistband. This contoured design hugs your body while giving it a smooth, flawless look. It has a hidden flat elastic inside the waist edge that provides all-day comfort and great support. This pull-on style pants look professional and polished with great trouser details. It comes with front and back belt loops that allow you to add your favorite belt or sash. These petite trouser pants are made of classic stretch woven fabric that looks chic and crisp! You need some simple pants that look professional and can be worn with Blazers, blouses, and sweaters if you work in a typical office environment. The Alfred Dunner Women’s Petite pants are a great choice. It has a length perfect for a low-heel or flats, and its high rise gives you an option of tucking in longer tops to provide you with a more defined waist. This high rise petite pant comes with full elastic waistband and 2 open side pockets. It is comfortable to wear and easy to care for. The Briggs New York Women’s Petite pants are made of stronger stuff than the average dress pant. It has a fabric that is sturdy enough to hold its shape, and it is machine washable. It is also super cool looking and comfortable. This khaki pant for petites fit perfectly, and the seam at the front of this pant helps to create a look of an ironed crease, so no ironing is required. The fabric is thick enough to wear in the fall and winter and breathable enough to feel great in the summer too. The fit is tailored through the thigh and hip, and it flares out nicely at the bottom. The LEE Women’s Petite Relaxed Fit Straight Leg Pants are made from a machine washable fabric that keeps its shape well but also stretches for comfort. They feel structured and don’t wrinkle very easily. This Khaki pant can stretch to fit your curves. You can wear this khaki pant with either a buttoned-up flat or modest 2 to 3-inch heels. 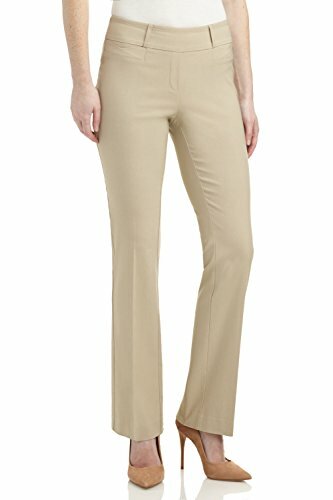 The DonnKenny Women’s Petite Pants is a versatile pull-on pant that can help complete your weekday or weekend look. The gentle stretch elastic waistband cuts comfortably and moves as you do. This Khaki pant is made from durable gabardine fabric that resists stains and wrinkles. It comes with hidden on-seam slash pockets where you can store small items. The DonnKenny Women’s Petite Pant is available in an array of colors to suit your style. 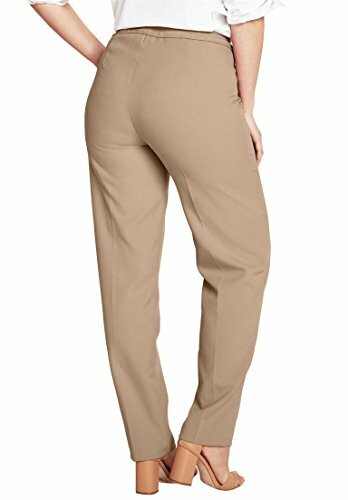 There are not enough khaki pants options for plus size petite women, the Roamans Women’s Plus Size Petite Pant stands out. It is made of an easy-wear, easy-care fabric that is both stylish and comfy. It comes with a hidden stretch waistband that stays put and moves as you do. 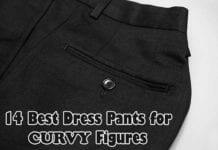 This plus-size petite pant sits above the natural waistband can be worn in several ways. 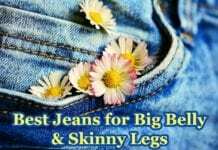 It comes in regular and petite sizes: regular 30 inches inseam, petite 28-inch inseam, and tall 33-inch inseam. The Riders by Lee Indigo pant is a modern fitting pull-on pant with a wide waistband that will flatter and smooth your curves. This khaki pant is made of a soft ponte knit that will keep you comfortable all day long. This straight leg petite chino pants features a button closure and scoop front pockets for a stylish look. They are just the right length pants for a petite woman, and they go with everything. The Dickies Women’s Petite Cargo Pant is a work-ready cargo pant that has a low-rise fit. 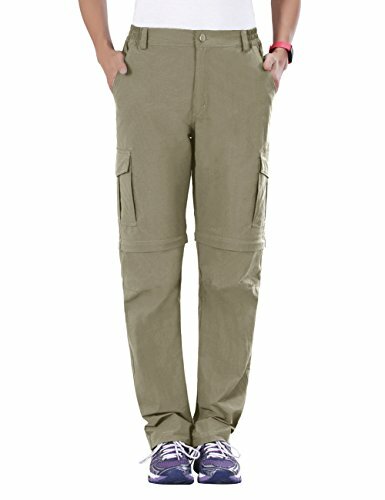 This straight leg pant features 9 utility pocket including two back pockets and two cargo pockets where you can keep your items. 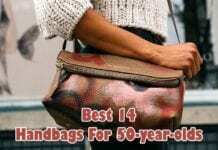 It also features wide belts loops and an elastic waist with an inside drawstring for additional comfort. The right exterior pocket comes with a functional tab with an elastic bungee loop and a cargo pocket with a triple pen holder. This khaki pant also has knee darts and multi-needle contrast topstitching for a seamless look. 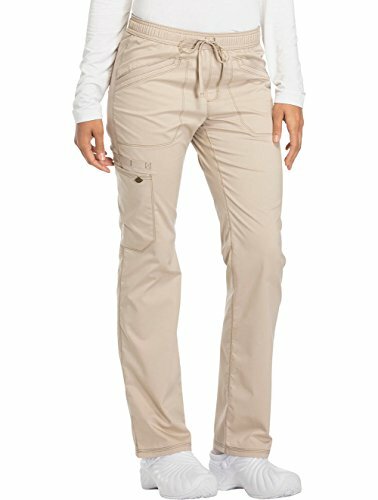 The Dickies Women’s Petite Cargo Pant comes in 27 different colors so you can choose the one best suit your style. The Gloria Vanderbilt Women’s Amanda Classic Tapered Jean is designed to sit perfectly at natural waistline to eliminate any unsightly muffin tops. It has a versatile yet classic look that connects and attracts women of all ages. It features a tapered leg that is contoured through the thigh and hip giving you a comfortable fit you will love. The curves and the stretch of this Amanda Jean will follow you regardless of your activity from day to night. These petite dress pants for work are great for both work and everyday wear. It comes with a functional five-pocket styling for a seamless look. 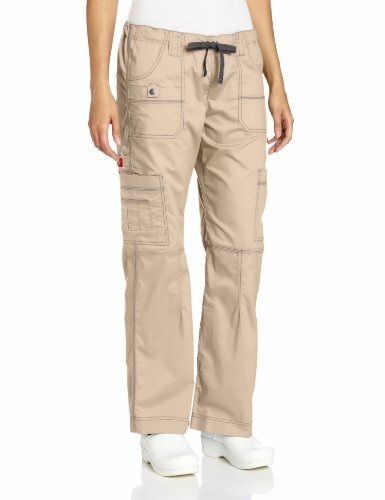 The Unitop Women’s Quick Dry Convertible Cargo Pants are specially designed for daily crashed adventures. This cargo pant has a high level of flexibility and breathability. It is made from soft fabric that is lightweight and durable. It has a convertible design with Velcro pockets. It can be hand washed or machine washed. It comes with multi-function pockets that allow you to keep your items when on the go. 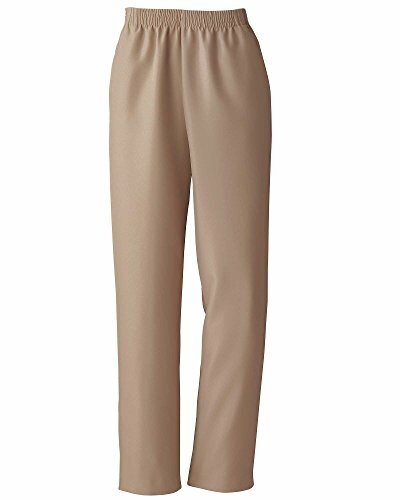 The LEE Women’s Petite Relaxed Straight Leg Pant is a classic pair of dress pants that will look great on just about anybody. 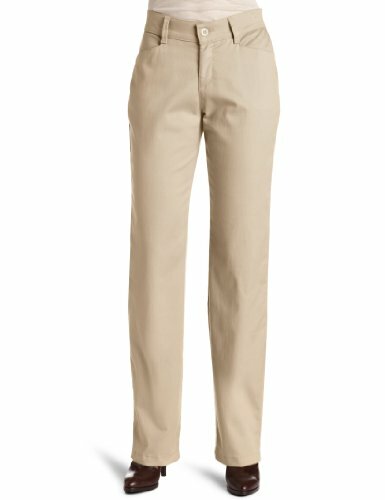 These straight leg khaki pants are a beautiful, fitted option that will surely not pool at your ankles if you are under 5’5″. The flattering clean lines fit close from the hips through the thighs and had a straight leg finish. This petite skinny ankle pant has a relaxed fit, and it is machine washable. Sometimes, we want to feel like wearing leggings without looking like it. 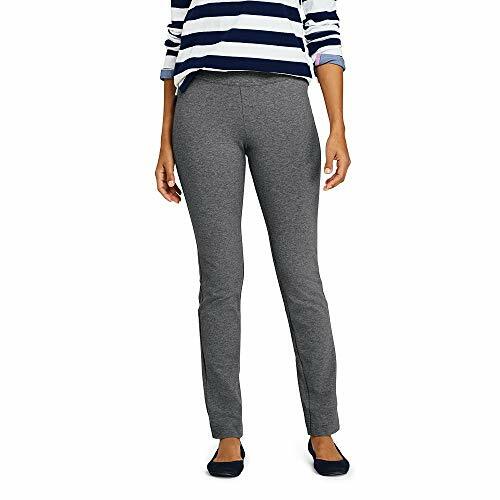 The Lands’ End Women’s Petite Starfish Slim Leg Pants gives you that option. Although this khaki pant is considered “legging fit” they fit more like a work pant. These petite khaki pants are a great option for those that like a slimmer look but don’t want to go the leggings route. They are made of soft yet stretchy fabric that gives you excellent recovery and stretches to sculpt and smooth your shape. The Starfish Slim leg pant has no pockets, so they give you a clean silhouette. These petite pants come in 5 different shades: Alpaca Heather, Black, Charcoal Heather, True Navy, and Bistre Heather. The Gloria Vanderbilt Women’s Petite Anita Straight Leg Pant feels like it is right off the runway and it looks chic in its luxe smooth fabric. It has a classic yet versatile look that connects and attracts with the modern sensibility of women of all ages. It features a classic rise that sits at natural waist, giving you a perfect fit feeling. The stretch fabric allows for comfortable movement with maximum recovery. It is perfect to wear to the office, school or other social activities. The Gloria Vanderbilt Women’s Petite Anita Straight Leg Pant has the same comfortable feel as the Amanda Jean but with the pleasure of a straight leg. The Dickies Essence Straight Leg Drawstring pant has a modern fit with a sleek style. It features soft, two-way stretch twill that offers sleek contemporary fits. It has a contrast stitching that provides a fashionable style, giving you a modern yet muted appearance. The fabric of the Dickies Straight Leg Drawstring pant is easy to care for, wash, and wear. It comes with a cargo pocket, and 2 sides angled pockets where you can store your items. It is available in 18 different colors to suit your preference. 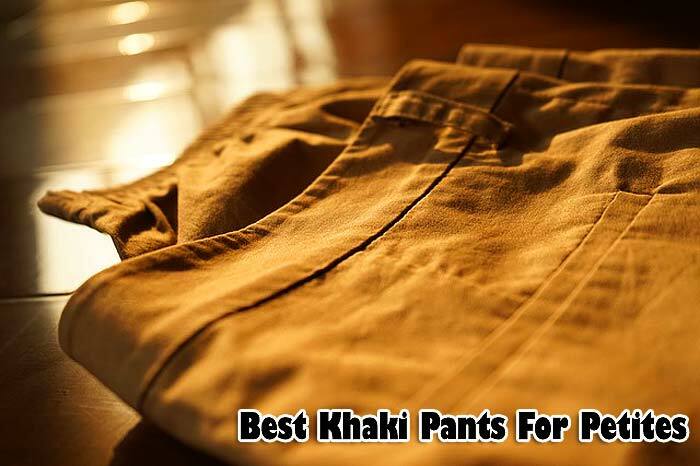 Hopefully, this guide on the best khaki pants for petite will help you find the right one for you.